Just last week the first screen shots of the Green Lantern movie release from EW, see above. 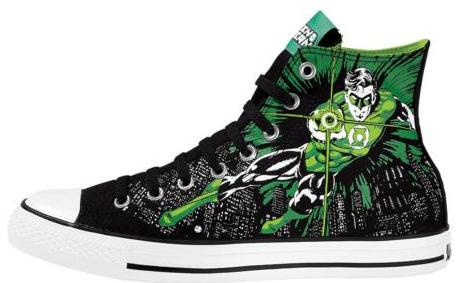 Now on the heels of that excitement comes a Converse collaboration with DC Comics in the form of the Green Lantern Chucks. So far I've only seen them at Journey's so they might be exclusive to them. 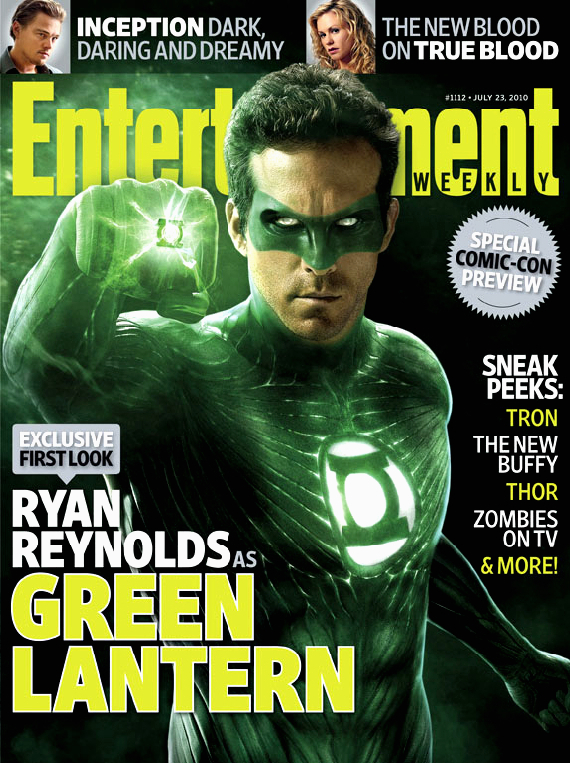 Say what you will about the Ryan Reynolds film version above, but I'm willing to hold my judgment for the movie itself. I really like the use of the Chuck Taylor ankle patch on these, you'll see what I mean below. That's it for now, check back later for more updates here at The Converse Blog, and as always follow along on twitter @TheConverseBlog Also, as you'll see I've updated the look of the blog. I think it looks cleaner but I'm open to suggestions so hit me up in the comments below. 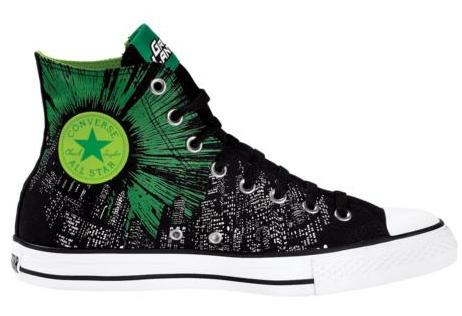 This shoes is cool..green lantern inspired is the best chucks i've ever seen!! !